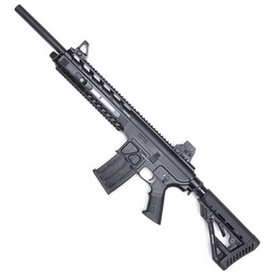 1919 Match Gen 2 - $799.00 : Tactical Imports Corp. Details: Introducing the 2016 Shooting Illustrated Shotgun of the year: the MKA 1919 Match Shotgun, exclusively from Tactical Imports! 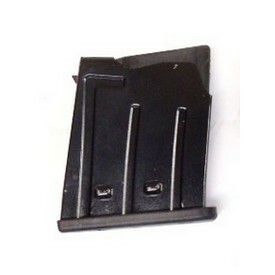 The 1919 is a non-restricted semi-auto magazine fed shotgun. 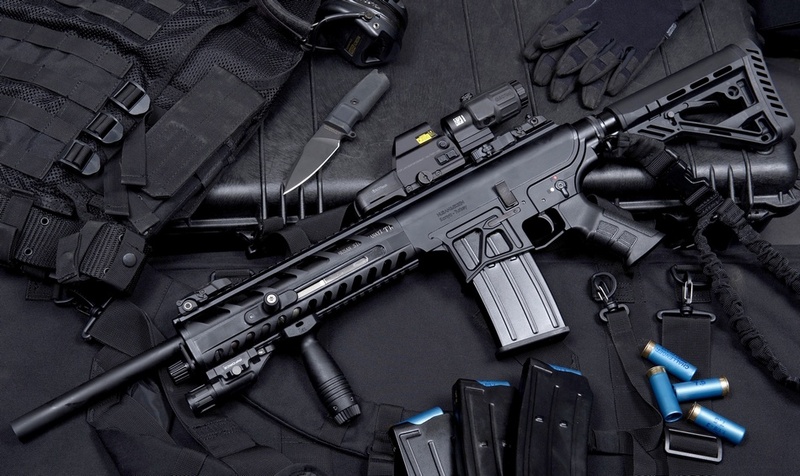 It’s designed to look and handle like an AR-15 in order to reduce training time and preserve muscle memory when switching over from an AR rifle. The 18.5-inch chrome-lined barrel is threaded for removable chokes. A cylinder bore, modified and full choke tube set are provided with a choke case and wrench. 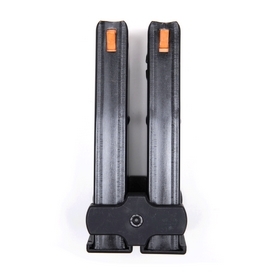 The detachable magazine also allows for easy and rapid reloading over conventional tube type systems. 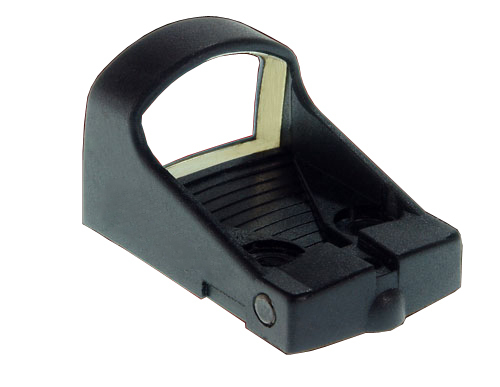 Magazine seating is straight insertion style, allowing for smooth and simplistic reloads. Gas operated action is self-adjusting. 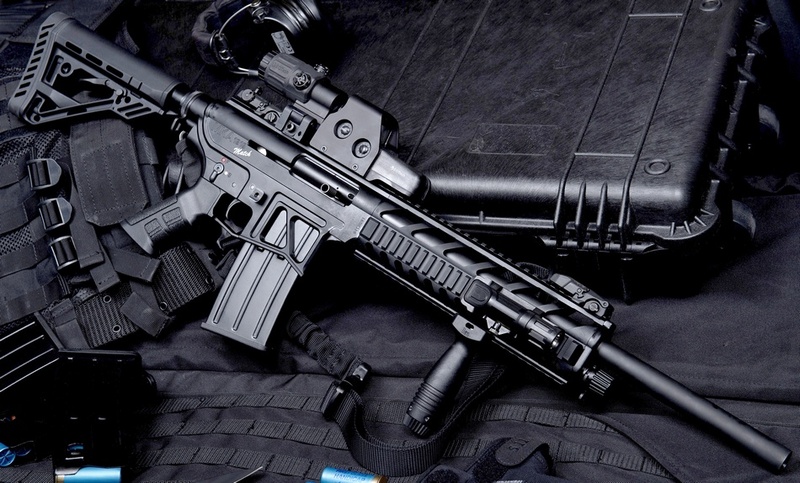 The Match version features a telescoping AR-15 stock, seamless aluminum quadrail, an ambidextrous safety, an extended bolt release, an extended magazine release, a redesigned bolt, locking block and action block, a floating metal feed ramp and an easy takedown system. 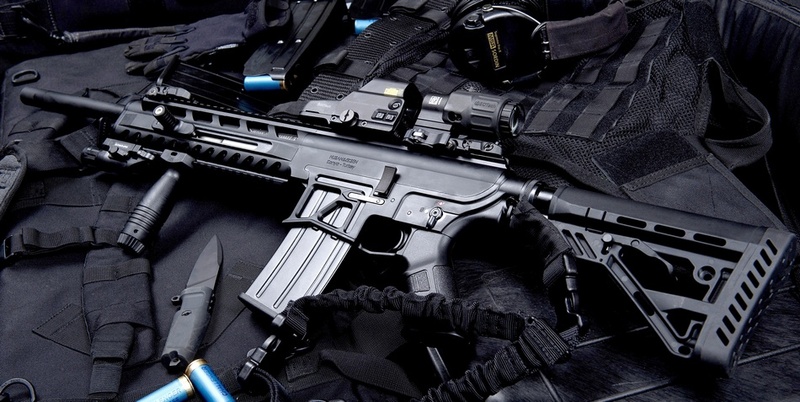 Gen 2 improvements include include a side charging handle, buffer tube sling attachment point, and an AR-15 interchangeable pistol grip. Available in polymer and alloy lower versions. 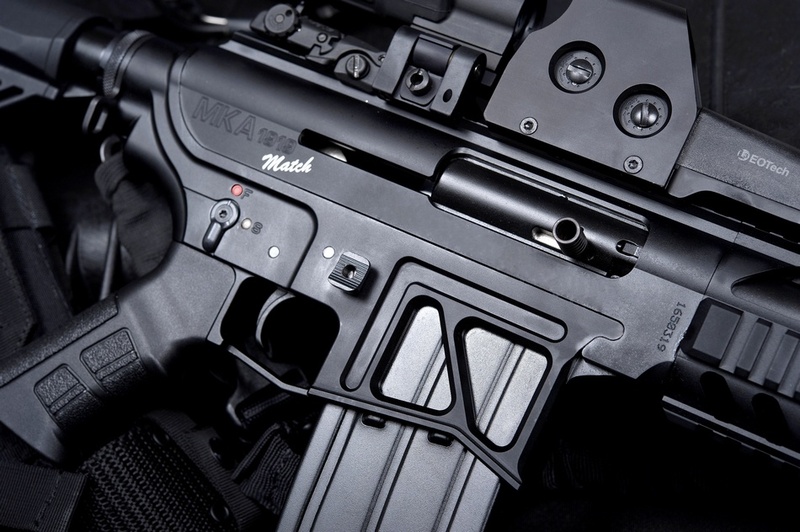 Unlike many cheap low quality copies recently introduced to the market, the MKA 1919 is the original AR-15 style 12GA shotgun and has been in production since 2007. 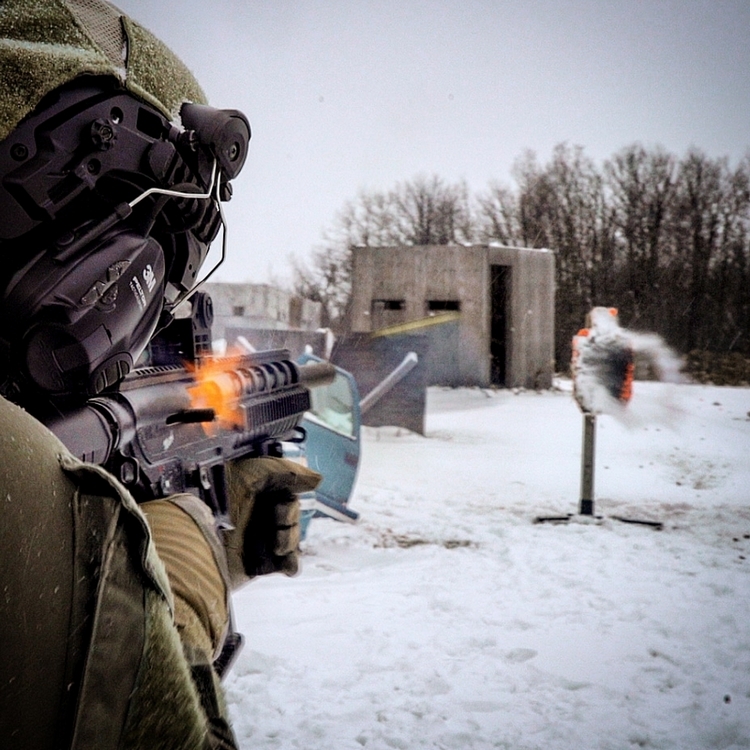 Since then it has been extensively tested and seen service with Turkish military and seen widespread adoption with sport shooters and police across the globe. Comes with one 5 rnd magazine, iron sights and instruction manual. Specifications: Caliber: 12GA 2.75" & 3"
Length with Stock Retracted: 955mm/37.5"
Length with Stock Extended: 1035mm/40.75"